For our 1/4 century special we have Hamish Gill and James Giordano with us, and unsurprisingly, the show turns into a Hamish & Jimmy love-in. 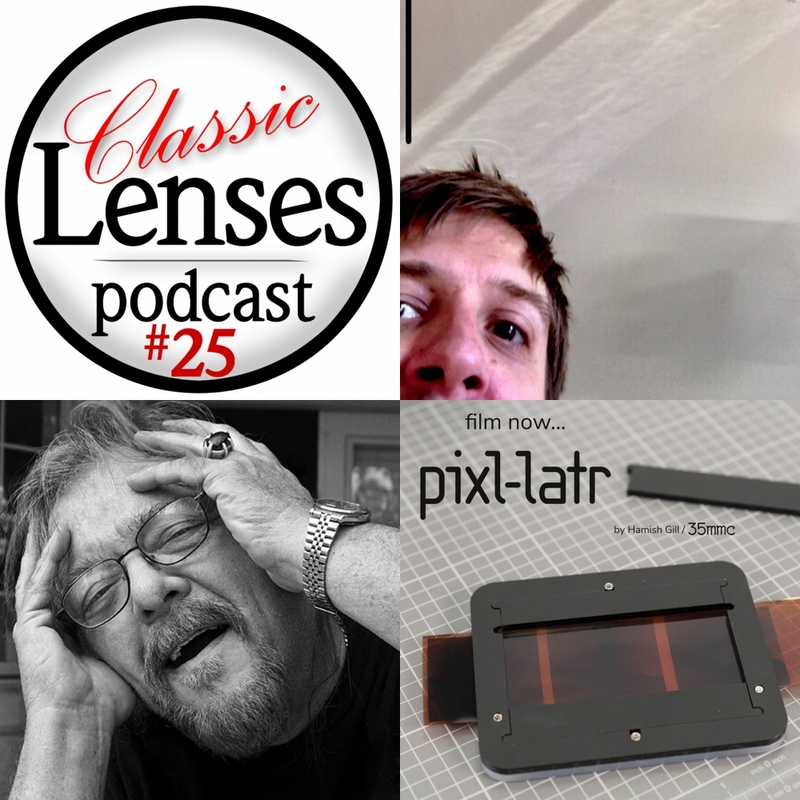 It's a long and increasingly opinionated podcast with topics from bad photographers to "flâneuring" as well as the most seamless topic link you might ever hear. Episode 26 Top Mint Exc+++ eBay Episode! I thoroughly enjoyed #25 Simon. Thanks. I really like the way you conversational Flaneurs give space to the guests and see where it goes. For me, this made #25 my favourite so far. Thanks Sciolist! We really enjoyed listening to Hamish and Jimmy, and when they got going into their 2 way conversation, it was a pleasure to sit back and listen to them, even though I was not in entire agreement in what they said! Interestingly, I received some strong criticism of the episode via my Instagram feed, and I'll touch upon that next week. Just started the podcast in the past few weeks and am still catching up. Looking through the episode descriptions, it doesn't appear you've yet hit on video. Have you considered some episodes on cinema lenses for video and / or classic lens use for video? Narrative cinematography continues to be largely a manual focus world, so the economies and visual appeal of classic lenses have a high level of appeal for many videographers. Better than no comment at all . Someone is obviously caring enough to give a crit. Not enough lately on lenses themselves perhaps? I'm just guessing. Personally, I think you need the context of the classic lenses world, who peoples it, what their thinking is, their outlook, what they are up to, or it could end up getting a bit repetitive to my mind. An episode a week is quite a lot to fill when you look at what others are doing. I'm always minded of keeping the podcast on topic, and although we do (and will) stray from time to time, that is not what the negative comment was about, in fact it was not content related. We will cover it in the feedback section on Monday. Thank you Olinask, and I'm honoured that this thread has your first post on MFLenses.com! The tree hosts are not particularly into video/cine, but strangely enough, I have been chatting with a cinematographer that uses classic lenses and it's becoming increasingly likely that he will be appearing soon. I've just started to do video description on my website (well, I've done one...), and it's been an interesting learning experience on how to set things up for video, and in my case I've not been able to use a MF lens for top down close up video. The video I've done is in the link using an Olympus E-M1 & 12-40 Pro. I tried to do it with 4K on a D500 and an older 28-70/2.8 Sigma, but the AF was way too loud. OK, since we're a bit in the constructive criticism right now: One thing that comes to mind... In the link with the podcast, is it possible to e.g. provide a few sample pics of a few of the lenses being discussed, or made with these lenses? I'm not sure if this technically possible (or how spontaneously the conversation goes sometimes) but some images could potentially lift up a talk about photography even more? I can see the attraction of doing that, but in practice it's a tough one for me on top of the editing and the podcast notes as they are. We usually record the podcast on a Monday (afternoon UK time) and have it uploaded on the same day and it's a bit of a stretch to pull that off sometimes. I'm not looking for sympathy, I enjoy the whole process from start to finish, but there's very little scope for me to enhance the notes further, I'm also aware that the notes as they are, are far from a complete record of what is discussed in an episode. I've heard that at least one listener listens to it in stages so they can take their own notes! Simon, I totally understand; it's a lot of work, and it helps the process if you clearly define what to do, and more importantly, what not. Signed up specifically to comment on the podcast. Happen to be one of those who as you put it, "is allergic to Facebook". There are dozens of us, dozens. You've put together a fine video for product demonstration, though might recommend a bit more light. If I'm not in studio, tend to shoot those near a bright daytime window with some diffuse material between the item and the light source. Have the Panasonic variation of that lens, the 12-35mm 2.8. It's nice for studio work, though a bit clinical and not the fastest. One of the more popular combos for M 4/3 video these days is the adapted Sigma 18-35mm f/1.8 Canon EF, using either a Metabones or Viltrox focal reducer/electronic adapter. Makes it a 25-50mm 1.3 in full frame equivalent. A great many micro 4/3rds videographers use classic lenses. Olympus OM, Minolta MD, Nikon, Canon FD / FL, and Pentax. As well as 16mm motion picture lenses, Kodak, Angénieux, Elgeet, and the rest. Many of the wider focal lengths of the 16mm lenses don't cover the full m 4/3 sensor, but many Panasonic bodies can crop the sensor further to shoot in 1080p full HD rather than the sensor's full 4k. The image circle then fully covers the active portion of the sensor, allowing those lenses to shine. Have also tried a 2x c-mount TC on some of them, works well but takes quite a lot of light. Can't wait for your cinematography episode. Keep up the good work. Thanks for the feedback on the video, it was done in a very bright room, so I think I just needed to up the exposure compensation. I'm going to have to look into LED lighting as I can't afford to rely on natural light. A great many micro 4/3rds videographers use classic lenses. Olympus OM, Minolta MD, Nikon, Canon FD / FL, and Pentax. Funny you mention Pentax, Olinask. I've just purchased a Super-Takumar 1:3.5/28. I bought it because I liked the very slight hyper-realistic look people seem to be achieving on digital with it, but when the lens arrived I was most struck by how short the focus throw was. It can't be more than 110 degrees. I wondered straight away if videographers had cottoned on to it. I'd imagine they have. Most video types prefer the longer focal throws. On lenses with shorter throws, some go as far as to attach focus rings and follow focus gear adapters to gain finer levels of control. Have been looking at the wider Takumars, considering getting a 35mm f/2 or f/2.3. Am very pleased with the 50mm takumars. They can all be de-clicked so that the aperture changes aren't as apparent when filming. Yes, a sin for photographers, but a boon to videographers. It's a fully reversible change, typically a small ball bearing. Ah! Okay. For some reason I thought videographers preferred short throws. Good to know. As you've probably guessed by now, this area is not my forte, so I appreciate the reply. Thanks Olinask. 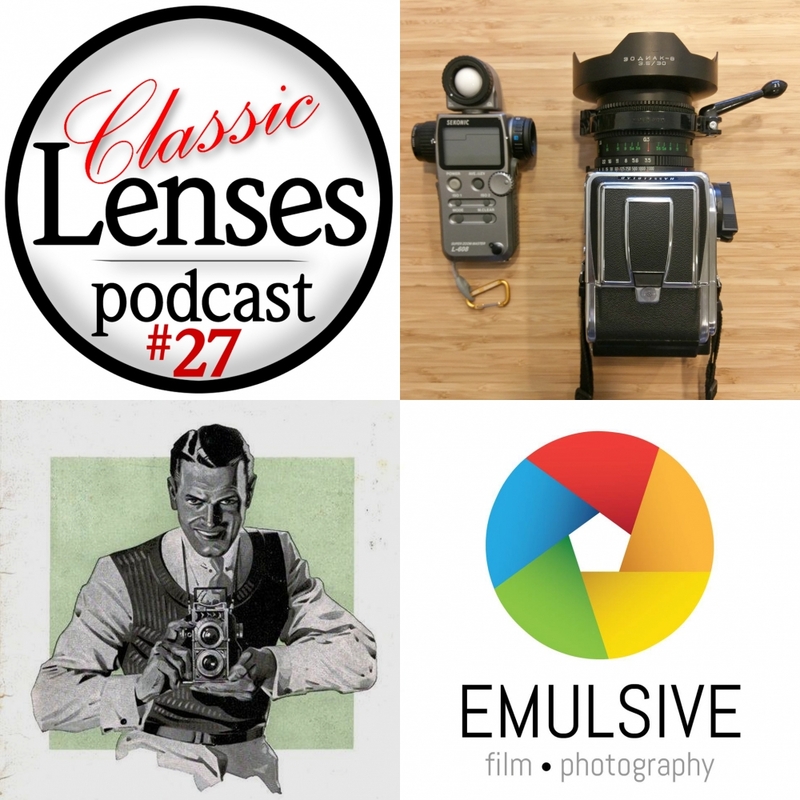 Bond villain, former aristocrat and film camera obsessive, EM from Emulsive.org joins Karl, Johnny and Simon to tell us about adapting lenses we've never heard of to cameras we would never consider using for that purpose! Central Camera Company, The Gods of Negatives! 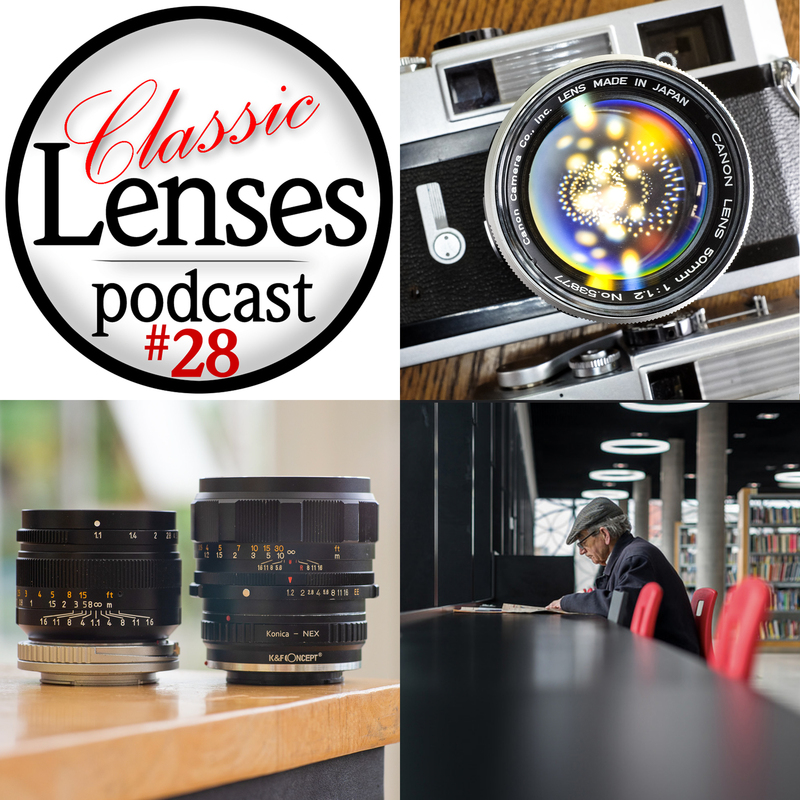 One of the topics for the next Classic Lenses Podcast will be standard lenses that are f/1.2 or faster. It would be great to get a few factoids about what lenses you own or want to own or do not want to own and why? I've created a very short questionnaire that requires no personal data to complete. If you have a spare two minutes (or longer if you choose to rant) then click on the link and take part. Tried to take the survey but it says it's already over. Have been binging the episodes, now up to episode 20. Great stuff! If I could make one critique, it would be that as a user of multiple micro four thirds cameras with nearly 100 classic lenses, I do find a bit of (how to put this nicely) full frame.. snobbery among the group. Yes, yes, most of these lenses were designed for full frame and some will likely be best on full frame. But a lot of these older lenses, especially the wider focal lengths, could not but perform worlds better when their distorted edges are cropped out. This especially the case for video, where traditionally full frame had almost never been used. As you likely know, traditional filmed motion pictures turn 35mmon the side resulting in a far smaller frame size that full frame. The great majority of digital video and cinema productions continue to use APS-C and smaller frame sizes today. Another related and surprising observation is that no one in the group seems to have ever tried a high quality focal reducer. It's been mentioned that some have tried the cheap, Chinese, no name focal reducers for micro four thirds, but those cheap reducers tend to have terrible optics, with deficiencies that get worse as the lenses get faster. The good quality focal reducers can be truly amazing, turning 55mm F/1.2s into f/0.85s with the field of view equivalent to a 78mm full frame. Fantastic for low light environments and portraiture. The good quality focal reducers also to be quite expensive, about $650. Though they can often be found on the used market for a small fraction of the excessive retail price. Have a number of them for various formats and they work wonders. Keep up the great work, and hope to hear your cinematography episode soon. I closed the survey about an hour ago and I forgot to put up a post to say as much here. The response was great and I ended it to give me a hope of collating the information received. We don't talk about focal length reducers because as you know I suffer from full frame snobbery and only Johnny has experienced of them and he's not a fan. As for the Cine episode, I need to get a date sorted soon! Episode 28 F/1.2 And Faster! 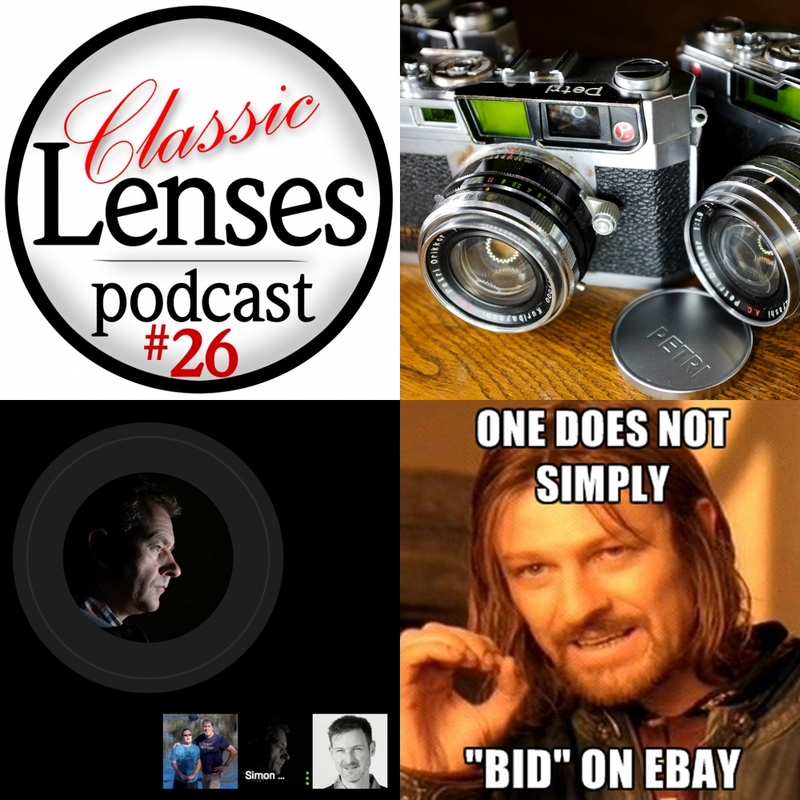 This week Karl Havens, Johnny Sisson and Simon Forster discuss the pros and cons of super fast 50=58mm standard lenses. Complete with the insights of listeners via a poll held last week as well as why Karl gets his dog to lick his lenses. 50mm f/1.2 projector lenses are generally under £20. It would be nice to stop it down, but trying an iris i front of the lens has not worked well - I get vignetting. A paper aperture that can be placed in contact with the lens will probably be OK. Yes, I touched on one of the Kowa 50/1.2 projection lenses and by the sound out it, I've had a similar one you, however I could not bring myself to cutting it back to get the register correct and fitting it into a helicoid. Projection lenses need to have their own discussion one day. I've been experimenting with a few of them recently, most have been much easier to adapt, just needing a stepping ring (generally stuck on with hot melt glue or epoxy) & perhaps some extra extension tubes. Surprisingly the 40mm perspective control one I got has a huge rear focal length - over 60mm behind the rear of the lens & over 100mm from the mounting thread. I expected long registration from the longer focal length models but not this one. I ought to try it on my DSLR sometime where it's focal length will be more appropriate. Simon, another great episode. Haven't quite caught up yet, but skipped ahead to listen to this latest. Agree with you completely regarding the Konica AR 57. Was going to sell off my copy as it can't be focal reduced for micro four thirds, but can't bear to let it go as it's such an outstanding lens. The micro four thirds crop results in a 114 degree full frame angle of view that is perfect for portraiture. If ever driven to sell it, doubt I'd find another at any reasonable price. The Konica 57 1.2 is not at all common and seems to be going for as much as $1000 these days. Have you scheduled the cinema episode yet?